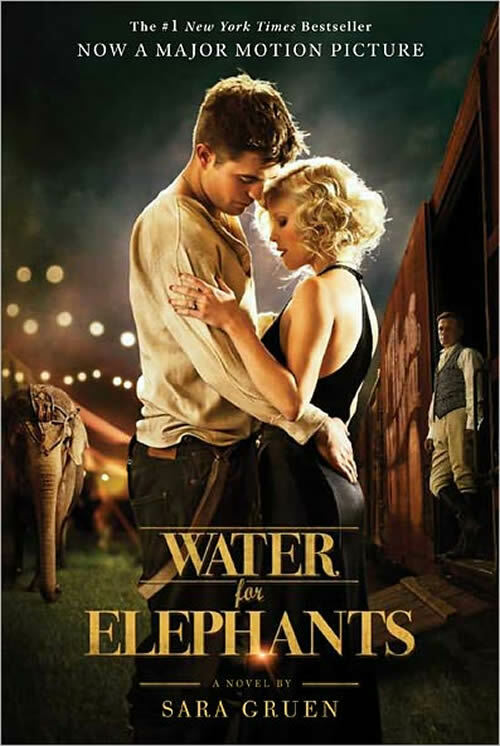 The new cover for the Sara Gruen's novel "Water for Elephants" has been released. It features Robert Pattinson and Reese Witherspoon in what is becoming a famous embrace alongside Rosie, the elephant who almost ended Pattinson's life on set, and Christoph Waltz. The movies is told via flashback as Pattinson's character remembers his youth. He reminisces about the time he spent with a traveling circus during the Great Depression. It centers on a love triangle between Witherspoon, her husband and Pattinson.